Ashley For The Arts brings the summer heat. Where can you spend $10 for three days of world-class entertainment, art and crafts, and family fun while benefiting countless charities? Answer: At the Ashley for the Arts festival, about an hour from Eau Claire in Arcadia, on the weekend of Aug. 11-13. The festival is held at Arcadia’s majestic 54-acre Memorial Park – known for its Soldiers Walk, one of the country’s most impressive war memorials – and features four stages: the main stage on a grass-covered lawn, the Amphitheater, Pavilion, and Air Park. Headliner acts this year include Chicago (yes, THE Chicago), American Authors, X Ambassadors, Craig Morgan, Kellie Pickler, LOCASH, and High Valley. Local and regional performers include Them Coulee Boys, The Memories, The Mondays, Hope Country, The Last Revel, Johnny Holm Band, The River Benders & Big River Radio Wave, and Tyler Lyle. 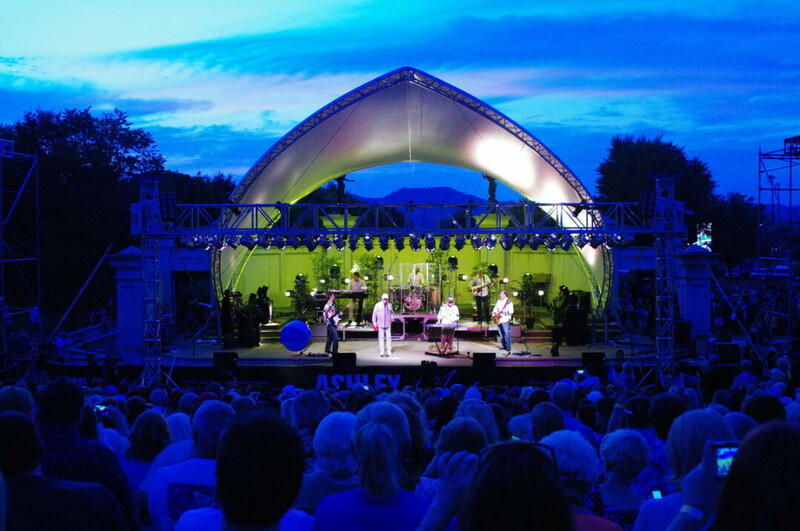 Spearheaded by the Wanek family – founders and owners of Ashley Furniture Industries – Ashley for the Arts, now in its seventh year, raised approximately $300,000 last year from event proceeds for its beneficiaries, which include children’s charities, medical research, and community organizations, including participating schools. Tickets are only available at the gate. Bring your lawn chair, and stay a while.